May 25th is Horse Day. I never knew such a day existed until I started blogging and planning out the themes for my weekly posts. So I thought this week would be a perfect opportunity to explore the horse theme. Today I feature artist Jay Laber‘s sculpture “Blackfeet Warriors” which I spotted in Montana while visiting the Glacier National Park. Jay Laber, member of the Blackfeet Indian Tribe, is a recognized Indian artist whose sculptures can be seen throughout Montana. Mr. Laber began his professional art career in the 1990’s. 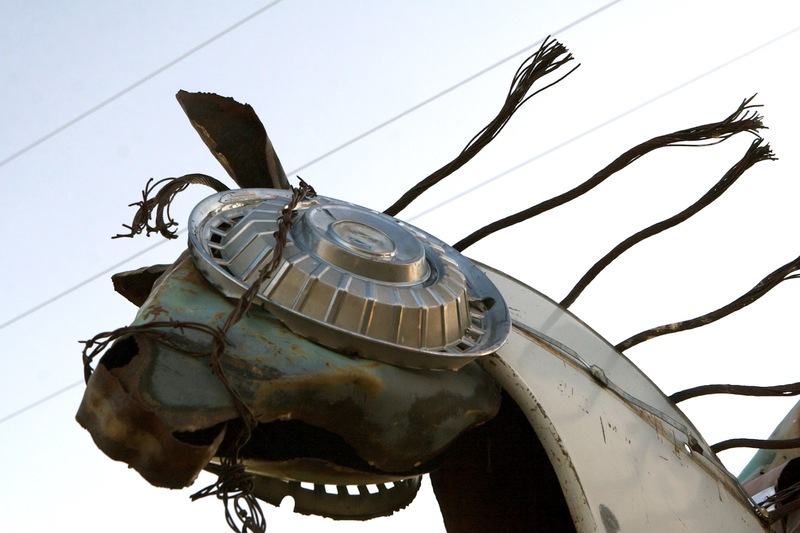 Mr. Laber’s metal sculptures are assemblages primarily made from discarded junked cars. The University of Montana, the town of Stevensville, and the Rocky Boy Indian Reservation, have major outdoor sculptures prominently displayed in their communities. 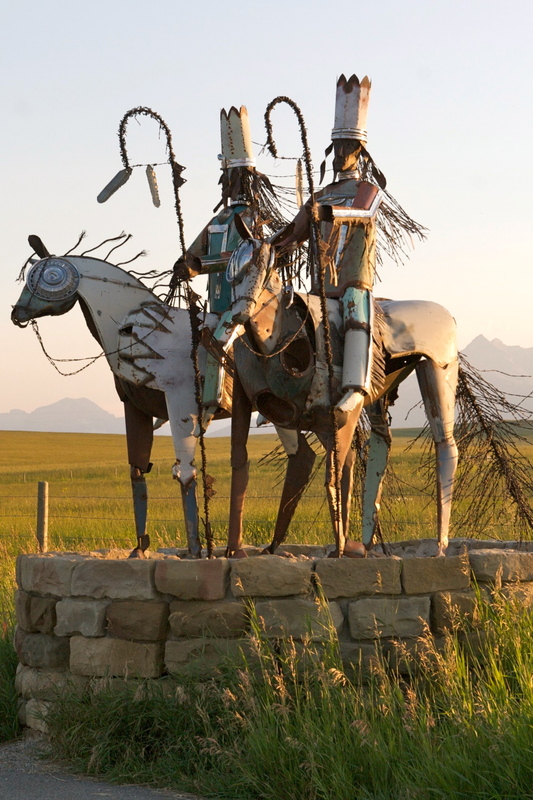 Mr. Laber’s creation of life size Indian warriors on horses serves as sentries at the four main highway entrances to the Blackfeet Indian Reservation. He has exhibited his work at several major museums and galleries including the Plains Indian Museum in Browning, Montana, The Paris Gibson Square Museum, and the Missoula Art Museum. Mr. Laber has also developed a reputation as an artist in residence and has worked with several schools and organizations in Montana giving lectures, demonstrations and class room instruction in various studio and traditional Indian arts. 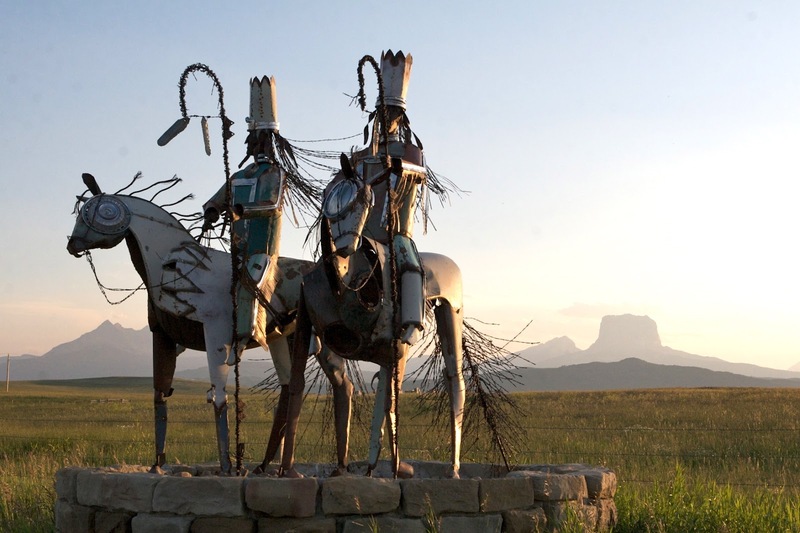 From scraps of rusted automobiles, bits of barbed wire and the stones of an old mission school; artist Jay Laber has created a statue of two Native American warriors astride their horses at the southeast entrance to the Blackfeet Reservation. Jay’s artwork is based on the principle of Native American tradition that you make use of what’s available to you in your natural environment. He uses manmade objects left behind in nature long ago, creating images of his native culture today. This sculpture, and three others just like it, greet visitors at the four entrances to the Blackfeet Indian Reservation; the U.S./Canada border, Highway 2 west of CutBank and west of East Glacier. For information about the artist contact: Revised Rez Wrecks, 877 East Post Creek Road, St. Ignatius, MT 59865. Blackfeet Warriors Sculpture can be found along Highway 89, 10 miles north of Dupuyer and about 30 miles south of Browning at the boundary of the Blackfeet Indian Reservation. 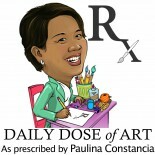 This entry was posted on May 20, 2012 by Paulina Constancia in Uncategorized.